Management consultant types lover their 4 box models or two by two matrices as they are also known. That is because this simple tool can help you make better decisions. 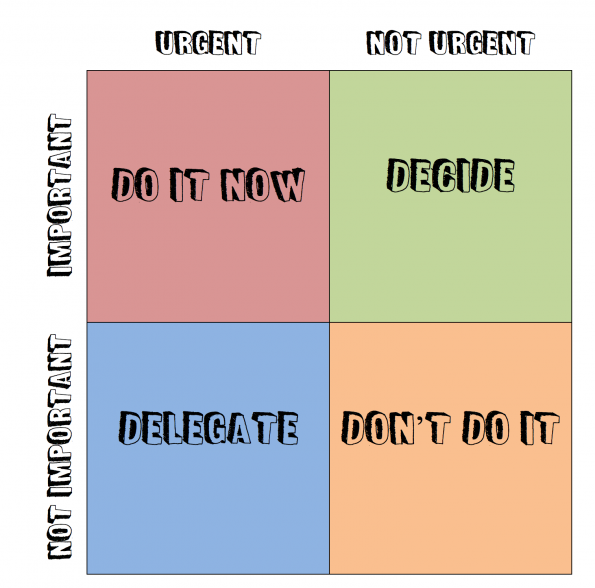 An example of this is the Eisenhower Matrix (above) which I describe in my stop wasting time blog. Two attributes (urgent, not urgent) are compared against two other attributes (important, not important) and the four resulting combinations can be explored. The Eisenhower Matrix is a 4 box model that helps you make better decisions about how you use your time. I had to make an important decision recently in work. There were two ways in which we could approach something: an easy way and a harder way. Either approach might deliver the intended outcome or fail to deliver but the probabilities are unknown. Since the probabilities of success with each approach were unknown opinions were divided on which approach was the best one to take. I explored the problem space with a simple 4 box model. This clarified some key attributes. I started by looking at the successful outcomes. The harder approach was more likely to have the desired outcome than the easy approach. Additionally, if the harder approach is successful it puts us in a stronger position going forward than the easier approach. Assessing the failure cases clarified thing further. Should the easy approach be unsuccessful the logical next step would be to try again using the hard approach. If the hard approach fails we are in uncharted territory as no one is sure what to do next. Assessing the options then: If we try the easy way and it works we are in a good, but not a great place. If it fails then we will have to try again the hard way. By trying the hard way if it works we are in a great place. If it fails then we are in a bit of a mess – but it is better to be here having tried it once than twice. 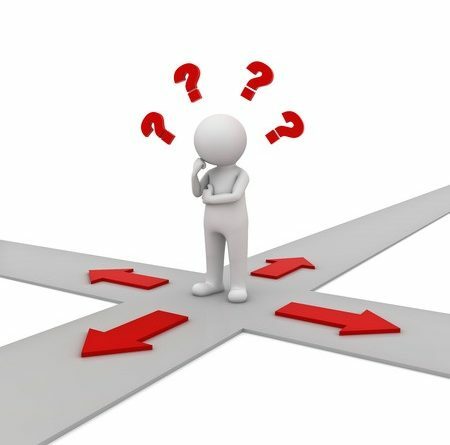 Suddenly a really difficult decision has only one sensible approach: do it the hard way. I used the same technique in my blog post about landing a job when you are neurodiverse. In that blog, I explore disclosing dyslexia in a job hunt. I explore the options with the 4 box model to help articulate the decision space. So this simple little technique can be valuable in a huge range of situation.